The automobile: a hallmark and testament to man’s creative genius. Cars became widely available for commercial consumption in the early 20th century, and since then, its popularity skyrocketed and has no signs of stopping anytime soon. Single-handedly revolutionizing our mode of transportation for the last two centuries, the cultural and societal impact it has made will forever affect our way of life. This Thanksgiving, we invite you to join us as we think about just how the automobile has changed American landscape and culture. 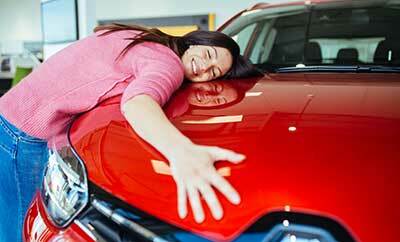 Today, we give you some things to be thankful for about your car. Without a doubt, the biggest contribution cars have given to mankind is the convenience in terms of mobility. A trip that took a week now turned to days and eventually turned to hours. The more mobile we became, the easier it was to access and transport everything under the sun from people, food, goods, information, and whatever else needed to be delivered or picked-up. It gave us the control over our most valuable asset: time. The mortality rate for vehicular passengers has significantly gone down in the past 50 years. This is due mainly in part to safer driving conditions and the standard vehicular accessories installed such as the seat belt and air bag. The more you buckle-up, the higher your chances of living a longer life. Have your car’s safety inspected today by one of our trusty mechanics at King Brothers Collision. A car’s frame imitates the way a shell protects a turtle or a snail. They’re there to provide relatively maximum protection against the elements of nature as well as man-made objects. Not only are you safe and snug inside your car, you can control the temperature inside to be whatever you want with heaters and air-conditioning. How’s that for luxury? Be warned though, dents and damages left unrepaired could compromise your car’s structural integrity leading to more problems in the future. King Brothers Collisions provides the best service for automobile repair. Roll on through today! We acknowledge that every person is different, thus, people will have different tastes when it comes to what car they ride. Luckily for us, car manufacturers take the everyday consumer into consideration and have provided us with an array of choices. You have sedans, vans, pick-ups, sports cars, SUVs, trucks, convertibles, what have you. You can even choose the color of your car—or colors if you’re feeling crazy. You can add whatever accessories and doo-dads you want and show off your one-of-a-kind personality. The possibilities are endless. It’s easy to forget how much cars have changed our lives for the better. They’re right there with us as we make stride after stride towards humanity’s future. Let’s take the time to reflect on our journey with the automobile this Thanksgiving. While cars give us all of these things, they can’t if they aren’t well-maintained. Letting your vehicle fall apart doesn’t just cost you money in the long run, it can also compromise your safety. If you need a trained eye to take a look at your car and make sure it’s in tip top shape, it’s best to consult with a professional. Let King Brothers Collision help keep you and your family safe in your car this Thanksgiving. Give us a call at 313-534-8090 (Redford) or 734-744-8557 (Livonia). You can also get in touch with us through our online contact form and we’ll get back to you at a more convenient time.